(Host) It’s been almost a year since the former Brooks House Hotel in Brattleboro was gutted by fire, displacing 60 tenants and a dozen shops. The iconic downtown building has remained empty while its owner struggles to find capital for a costly restoration. Now, as VPR’s Susan Keese reports, a new, local investment group has stepped in. (Keese) From the fifth-floor window in his new partner’s law office, engineer Bob Stevens has a bird’s eye view of Brattleboro. At the window with Stevens is Craig Miscovich. The two men have formed a corporation to attract investors to purchase and repair the fire-damaged Brooks House. Surveying the view, Stevens points out projects he’s had a hand in: the new Brattleboro Food Co-op going up on Main Street; a hospital addition; the downtown parking garage, the historic Wilder building after it burned. 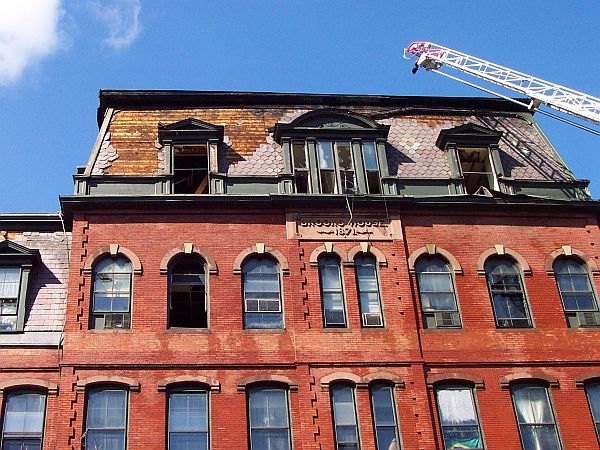 Brooks House owner Jonathan Chase hired Stevens immediately after the fire last April. (Stevens) "Literally the morning after the fire I was in scrubs crawling around the building to see what the damage was." (Keese) Stevens’ firm gutted and stabilized the building. Then he and Chase went to work plotting how to revive it. Now Stevens and Miscovich have negotiated an option to buy the building. (Stevens) "You know, because it’s at the heart of our downtown, architecturally significant — it’s a quarter of sort of the main block. And having it dark means that we don’t have the same level of energy and activity on the street, other businesses suffer, you don’t have that critical mass." (Keese) Stevens says Chase has already spent $2 million on the project. But the ornate structure, with its dormered towers could cost $15 million to restore. Stevens says that’s more than its resale value will ever be. (Stevens) "Real estate is often a very long-term investment. You need to think that you’re going to stay in as many as 20 years. And some owners are kind of nearing the end of that time and I think Jonathan was at the end. I’m not sure he wanted to turn the clock back and start another 20-year ownership of the Brooks House." (Keese) Brattleboro has a history of community-minded investment, and Stevens and Miscovich think they can assemble financing locally from people who can wait for a return on their investments. The project will also rely heavily on federal tax credits and help from the town, especially with Community Development Block Grants. Brattleboro town manager Barbara Sondag says that’s a no-brainer. (Sondag) "It’s a quarter of the downtown on one side of the street. So we have a direct interest in making sure that building comes alive again." (Keese) Stevens also says rents in Brattleboro are generally less than what it costs to operate the building. He plans to try attracting higher paying tenants, to spaces like the Penthouse where Rudyard Kipling is said to have gambled. He and Miscovich are also looking into the possibility that Vermont’s state college system might use part of the building for a Brattleboro campus. An iconic Brattleboro building that was gutted by fire two years ago is moving closer to making a comeback. 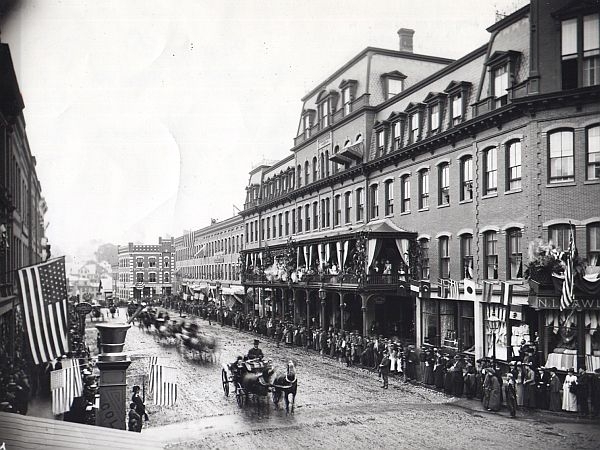 Since 2011 the historic Brooks House and its many storefronts and apartments have been a dark spot on Brattleboro’s Main Street.